Summoning culture and generations in a 150 year old house that is full of exciting and important memories for both kings and grandma, and there is almost something magical about the house. That’s why you also can get married here, go to jazz gigs, walk up in the tower and watch the beautiful view over Mälaren, try to take over Lyrans pokemon-gym or treat someone you like too a shrimp sandwich. We also got amazing cinnamon buns, we are a café that is very proud over our bakery and quality. We are open every day and there’s always something to do at Lyran. Get warm with our delicious soups. We have many different soups and if you want to know what we are serving today, give us a call! Do you know we bake everything ourselves? Early mornings our baker stands with one of Stockholms most beautiful views over Mälaren and makes all our cakes and pastries. If you wish to order any of our cakes make sure to contact us in well before you need it and we’ll make sure to bake you something fantastic. Allergic? Make sure to ask our staff about what pastries or cakes you can have or call ahead of time to know what we can offer you! “Att vara på Lyran” and “Kolifej på Lyran” were sayings that started during the 1800s when both kings and culture personalities had parties in the house. 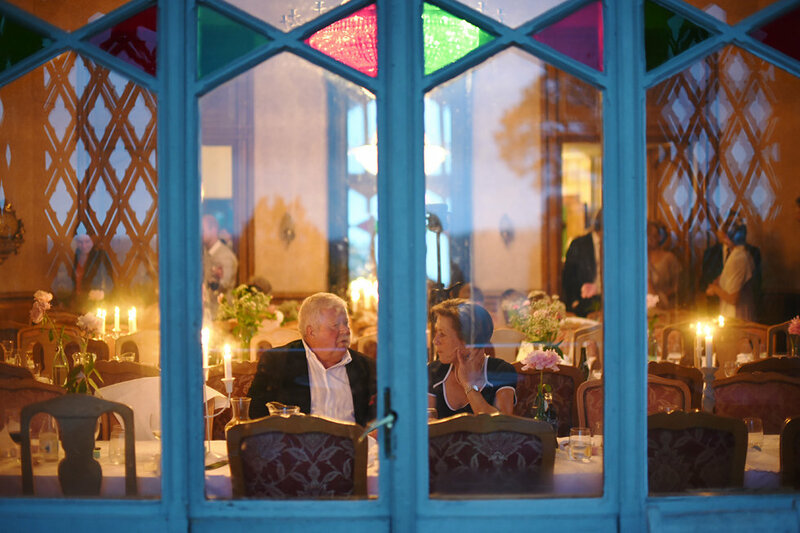 Today you can rent Lyran to celebrate both weddings, birthday parties, company parties, for the conference and much more in our beautiful salongs and with a view over Mälaren and a charming garden. With us you can have everything from a full three course dinner to a coffee party with something small to eat. We have great experience of parties and we can help fix everything. Jenny Lind, Gunnar Wennerberg, Carl Snoilsky, Carl David af Wirsén, Kristina Nilsson och Henrik Ibsen was among the guests. Invited guests liked coming to the Limnelss because of the feeling of home, comfort, of goodwill and kindess, of goodness and the understanding sympathy that lied in the air. And an whole lot of festivities have taken place here and it is then the expression ”Too be at Lyran” (too be intoxicated) had its origins. There are some peculiar constructions in the house such as that the tower roof’s hight can be adjusted. ”Stugan”(Trans: The cottage) is what Lyrans biggest room is called and in the middle of it there is the beautiful tiled stove that was drawn by the Swedish architect Johan Fredrik Åbom in 1867. 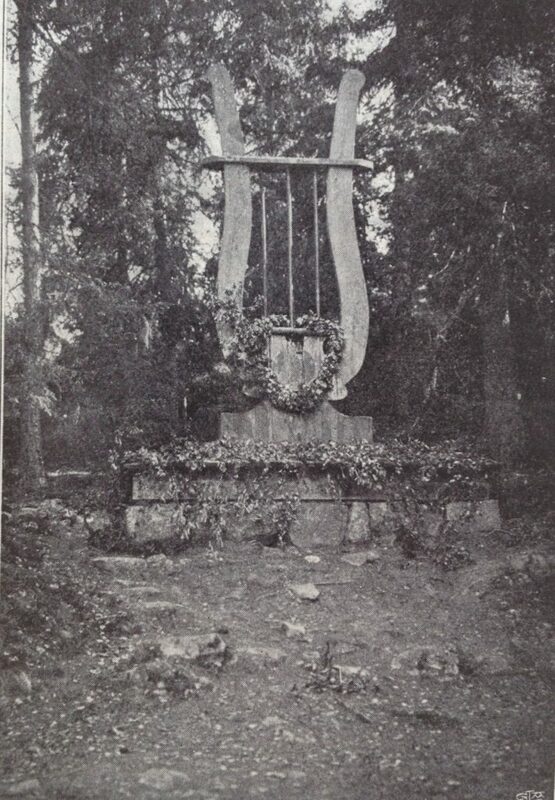 The place where Lyran is standing on was once called Leopolds Lyre and the house got its name from the lyre that Carl Gustaf Af Leopold had built there as a tribute too Carl Micheal Bellman in the glade outside. The house is blue classed by Stockholms Stadsmuseum, which is the highest municipal protection class. 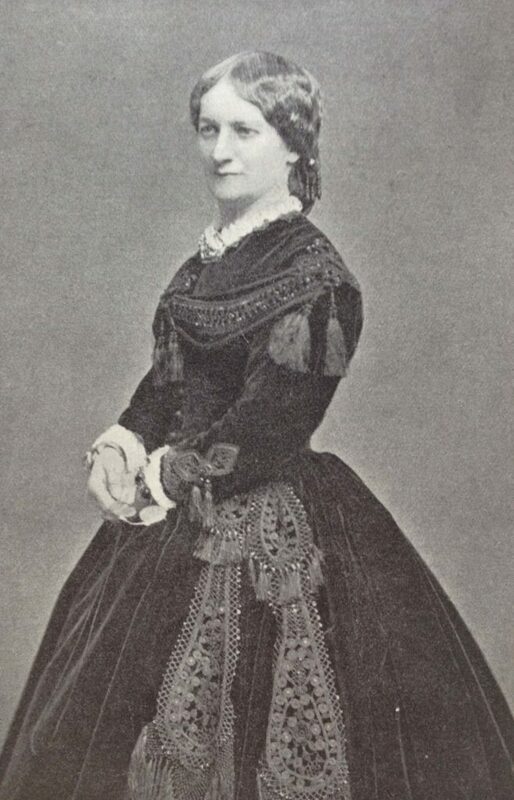 Fredrika Limnell was one of the central figures in the women’s movement and was engage in among other things; The association for married women’s property rights. As she was financially independent she could early help Fredrika Bremer and Princess Eugénie in their social work. She payed a big part of Fredrika Bremers trip from Italy to Palenstine. 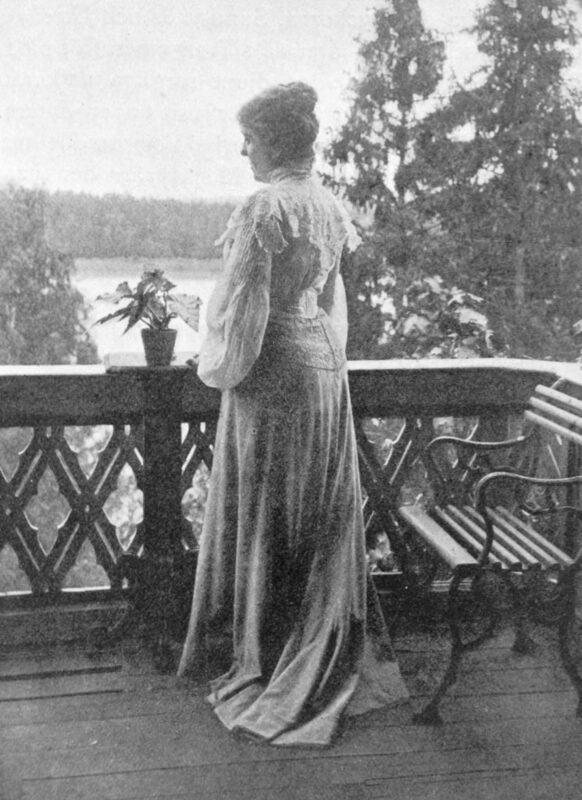 In the home of Sofie Aldersparre she heard the beginning of Gösta Berlings Saga and then contributed with money so that Selma Lagerlöf could finish the book. After Fredrika Limnells death in 1892 her son inherited the house. 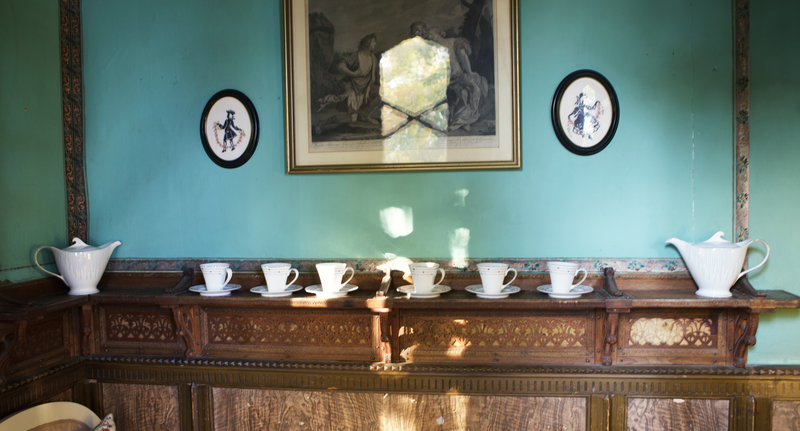 It stod empty for some time and has been used as a boarding house, restaurant and for parties of different kinds. 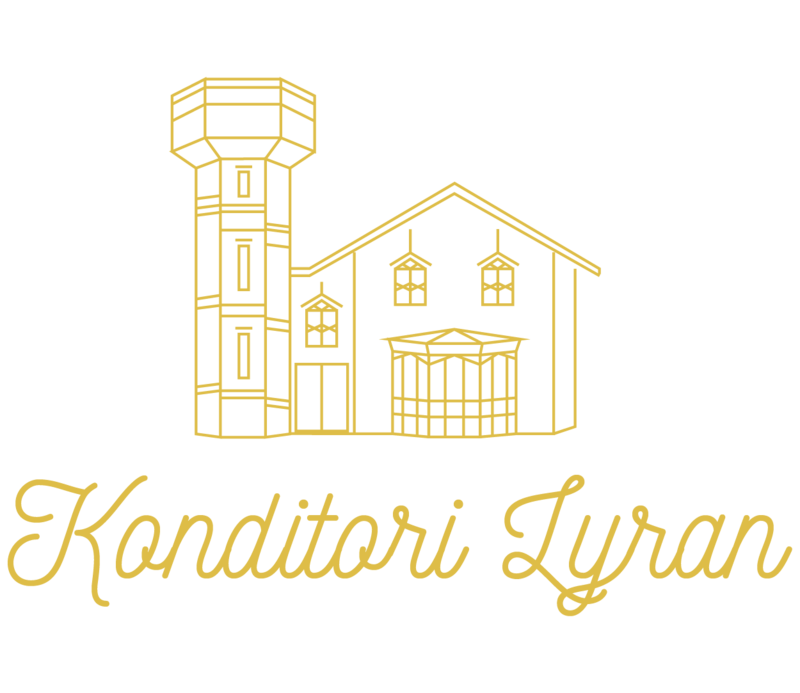 In the 1950’s it was used in many film productions and between 1959 and 1961 the radioprogram ”Litterära och Musikalisk salong” and the TV-show ”Söndagsbilagan” was sent from Lyran. The year 1961 the house was bought by Stockholm Stad in connection with that the modern district Bredäng was being planned. Under sometime Lyran was left to the elements and was vandalised and starting to fall apart. But in 1965-66 did Stockholm stad renocate the house and it got its own bakery and apartments on the upper floor. Today Lyran is run by Dennis Agerstig with it’s own Bakery.